Abstract—Recently English plays an increasingly important role in science. A lot of educational institutions in non-native English-speaking countries offer professional English courses for academic purposes. However, students involved in these courses exhibit low learning motivation and hence lead to disappointing learning results. This paper presents a blended learning strategy for effective teaching and learning of professional English. This strategy integrates a cloud learning environment (CLE) to provide blended learning activities, blended learning resources, and blended learning assessments. During the learning process, students have more opportunities to participant in learning activities and access to learning resources. The combination of summative and formative assessments reduces students learning anxiety and increases their motivation to learn. The experimental results show that the student performance in professional English is significantly improved by this blended learning strategy and more than 90 percent of students satisfy with this course. Thus, this study confirms the positive effect of blended learning on professional English course. Index Terms—Blended learning, professional English, instructional strategy, cloud learning environment. 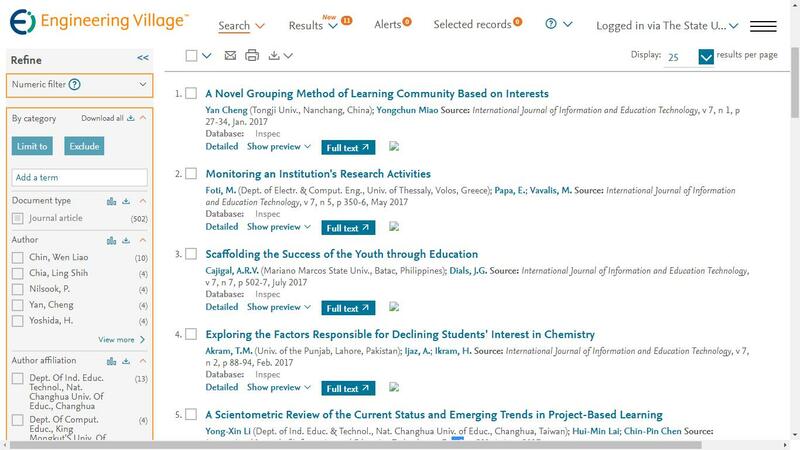 The authors are with the school of educational information technology, Central China Normal University, No.152 Luoyu Road, Wuhan,Hubei, China (e-mail: qiusham@ mail.ccnu.edu.cn, 2452460134@qq.com). Cite: Qiusha Min and Guanghui Wu, "A Blended Learning Strategy for Professional English Course in a Cloud Learning Environment," International Journal of Information and Education Technology vol. 7, no. 8, pp. 608-611, 2017.